On your arrival at the Trivandrum Airport, meet our representative. 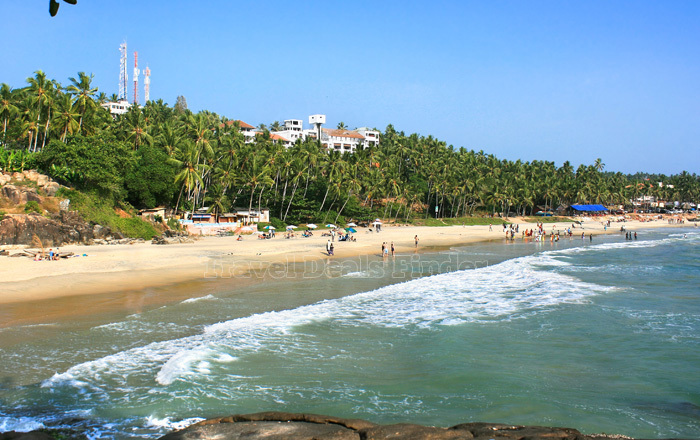 Drive to Kovalam and arrive by the afternoon. Check-in at the hotel and enjoy rest of the day at leisure. Enjoy a comfortable overnight stay at the hotel. After a hearty breakfast, proceed for a sightseeing trip of Varkala. Enjoy the stunning golden beaches of Varkala. Spend the day at leisure, explore the beaches and indulge in various beach activities and games. Enjoy a comfortable overnight stay at the hotel in Varkala. Check-out from the hotel and you will be driven back to Cochin Airport/ Railway Station with wonderful memories of your Kerala trip! If you have not decided yet or wants to customize tour itinerary or hotels listed above in "Kovalam and Varkala Honeymoon Tour Package", then we can change the travel itinerary and make a personalized, tailor-made holiday package, especially for you. We can modify this travel package as per your itinerary, budget, duration and the tourist places you would like to visit, including transportation and airfare should be included or not. Please fill the form below to contact us.